Jo-Wilfried Tsonga passed the test posed by Ukraine's Sergei Bubka on Thursday afternoon, earning a straight-sets victory 6-3, 7-5, 6-2 to secure his spot in the third round. With this win, Tsonga has yet to drop a set en route to the third round, and his tennis looks solid enough to propel him into week two of the US Open. The Frenchman hasn't been pushed in his early round matches, but that may change in his next contest, when he could potentially face No. 19 seed Fernando Verdasco. Both men opened the match with fairly easy service holds, but in the eighth game on Bubka's serve at 3-4, Tsonga put the pressure on his opponent to reach break point at 15-40. 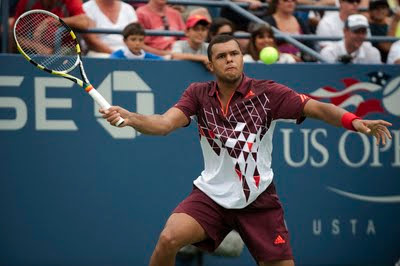 A forehand that sailed wide from Bubka handed Tsonga the break and a chance to serve out the set, which he did handily. The second set began just as the first, but a break point in Tsonga's favor came a bit earlier, at 2-2, and he converted to take the lead. 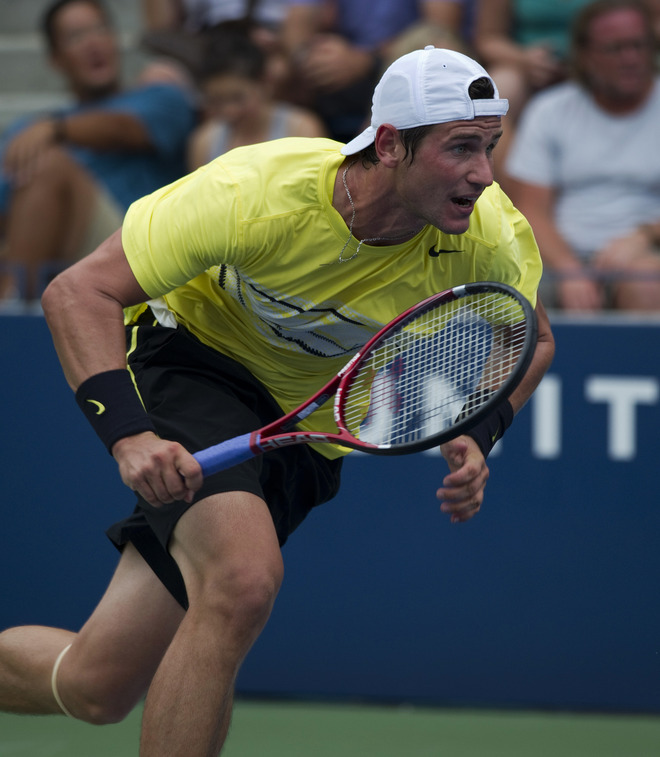 But Bubka took the break right back in an exciting eighth game at 4-3. Bubka stepped up and produced a solid return game, exhibiting some amazing feel with touch drop shots that fell just out of Tsonga's reach. The crowd came alive when Tsonga charged full-speed the net to track down one of Bubka's drop shots, but when he couldn't reach it in time, he avoided a run-in with the net by leaping over it near the post. 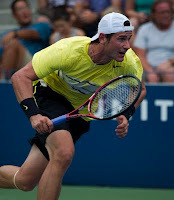 A brief shift in momentum went in Bubka's direction, as his net tactics and aggressive offense allowed him to get back in the set with a 5-4 lead. But Tsonga would have none of it, and he, too, showed great hands at the net, breaking Bubka for a 6-5 advantage and closing out the second set on his serve. Tsonga needed only 30 minutes to take the final set, breaking Bubka in the third game and never looking back. Tsonga, who has never fallen before the third round at the US Open, is looking to susurpass his best result here, which was a round of 16 appearance in 2009 as the No. 7 seed. And as the No. 11 seed, his chances of accomplishing that goal are good, considering the high level of play he brings as he entered the event. Tsonga reached the semifinals at Montreal before retiring against Novak Djokovic with a right arm injury. Bubka, a 24-year-old qualifier who packs a mean serve, leaves Flushing Meadows after having won his first career Grand Slam match here, a four-set win over Andreas Haider-Maurer. And considering this was only Bubka's first US Open main draw and fourth ATP Tour-level tournament, he can't be too disappointed with the early exit.